The 96th PGA Championship will be played in Louisville, Kentucky at the Valhalla Golf club starting in just a few days. It'll be the third time the championship has been played here, but that makes it no less exciting for golf fans. But coverage of the sport seems to be sparse outside of the US and a few select places in Europe, so getting it to stream online may be a bit of a challenge! As far as I can tell, so far, the PGA Championship will be streaming on the official PGA website and may be streaming on the CBS Sports website (I found 2 possibilities). As far as the UK goes, you might be able to get it on ESPN UK and another place called WiziWig. There are probably lots of other local TV stations that will be streaming their own coverage of the sport. But how do you watch those if you are not in the local area? This is question that faces many expats and golf enthusiasts around the world. The IP address of your computer gives away your location to websites. It's like your home's address, and tells other computers where to send information you wan to see. Many times, this IP address is what prevents you from streaming sporting events like the PGA Championship. Even if you are a citizen of the country you want to stream from, you'll still get blocked! So you need to change your IP. Probably the most popular way to do this is with a proxy. You might have heard of them. However, proxies are often unreliable, easily blocked, and can put your private data at risk if using an unsecured version. That's why VPNs are the #1 choice for streaming blocked content. VPNs are used for many things related to online privacy and security. They use special encryption to make your real location private. Of course, the information has to be sent SOMEWHERE, so the replace your real IP with a virtual one, and reroute your information. It's this process that safely changes your IP, and allows you to stream restricted content from anywhere in the world. You'll have to check with the site you want to stream from whether or not you need a subscription. Some places like ESPN require a paid membership to access the content, others, like CBS, are free to those living in the “correct” country. VPNs are not free either! You'll have to pay a monthly subscription fee. If you only want to watch the PGA Championship, a 1 month subscription without a rebill will be what you're looking for. It'll run you about $10-$20 for one month depend on the service you choose. Here are my top 5 picks. 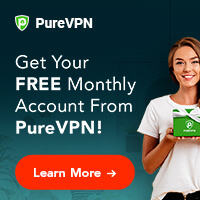 If you are a major sports fan and what different things year round, but are planning on being stuck in the same place without live streaming access, then you can get a discount on the VPN service for a year of service. You'll pay between $5 – $10 per month instead! This is also great if you travel a lot because no matter where you are, you can always get an IP from the country of your choice. There are many good VPN services out there, but my #1 pick is VyprVPN. They've got great apps for your tablets/smartphones and desktop/laptop computers (both PC and Mac). 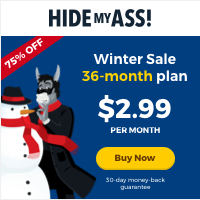 The apps alone are enough to recommend these guys, but they are also fairly priced, and have very good VPN connection speeds. There are other reasons I like them as well, but they are related to privacy/security which probably doesn't concern you too much. 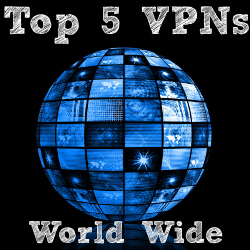 VPNs are a very versatile software, so there are a wide variety of people using them! If you do sign up for a VPN service, be sure to come back and let us know how it went! Sometimes live streaming can be a bit quirky and I'm always interested to hear how each VPN service performs for specific events and streaming sites.